Last month, WITF, the local PBS station, interviewed John Coyle, President of Craighead House, Sarah Fischer, Education Coordinator and Messiah College professor, Twig George, Jean Craighead George’s daughter, and me for a piece they were filming about Jean Craighead George. It was to be a 5-minute segment for the station’s portion of PBS’s Authors & Their Hometowns program, a half-hour piece to accompany PBS’s The Great American Read. They were also making a piece about John Updike, another writer with ties to Central Pennsylvania. “Although our story was not ultimately selected by PBS to be featured in the 30min Authors & Their Hometowns program…it will air on WITF TV as interstitial programming across our broadcast schedule beginning this evening! Be sure to watch the promo break prior to Doctor Blake at 10pm. If you tune in between 9:45-10pm you should catch it. Later, she informed me that it will be shown again this Sunday, September 16 at 2:25 pm and 11:45 pm EDT. Those who don’t live in the WITF viewing area can see it anytime at the link above. Jean Craighead George sitting at the vanity she repurposed as a writing desk when she was 12 years old. She loved to sit here and look out the window at the Yellow Breeches Creek in the back yard. Upon hearing that Tim Tebow had been assigned to play for the Binghamton Rumble Ponies AA minor league team, I thought there was a chance he would come to Harrisburg to play against the Senators. Looking up the Senators’ schedule told me they would be coming to town June 5-7. Wanting to attend the game, I contacted a friend, the local undertaker and lifelong Phillies fan who frequently goes to Senators’ games to see if he would want to see Tebow. He was most definitely up for it, but which game should we go see? I ruled out June 7 because it was a day game and I didn’t want to fry in the hot sun in the bleachers. We picked the evening of the 6th for reasons lost to memory. When thunderstorms were forecast—and experienced—we patted ourselves on the back for having made a wise decision. However, the game was played and Tebow went one for four with an RBI single, a run scored and a put out at third base with a good throw from his position in left field. Not a record day by any means but a respectable performance. Word has it that he happily signed autographs before the game. Wednesday the 6th started overcast, with a spritz of rain in the morning, but cleared in the afternoon suggesting a clear coolish evening, a great night to watch a baseball game. We started early to have time to eat at the ballpark before the start of the 6:30 game. On the way to pick up our friends, we saw that traffic on I-81 North (the direction to Harrisburg) was backed up for miles. Seeing that taking an alternate route was necessary, we took back roads and found that a tractor-trailer accident (an all-too-frequent occurrence on I-81) blocked traffic just before the Miracle Mile interchange. We zipped over to the Miracle Mile and got on the interstate, finally making good time with the light traffic. Things went well until the last mile. The Senators play on an island in the middle of the Susquehanna, with bridges bringing in traffic from both sides of the river. Traffic was backed up for a good half mile before the bridge and another half mile on it. We watched clock as we inched forward to the parking lot entrance. We arrived there with just enough time to park and walk to our seats before the game started. We were shocked to see an attendant holding a parking lot full sign. He handed us a map to a parking garage a good mile away off the island in the city of Harrisburg. My friend was unable to walk such a distance, so I drove around city streets seeking a close enough place to park but found none. His wife spotted a good restaurant and suggested that we eat there. We did. After a leisurely meal—kitchen staff appeared to take a break while preparing our orders—we got back in the car to head home. My friend suggested we try to find the broadcast of the game on the radio. A not long search across the AM band landed on what was clearly a baseball game and the announcer was certainly not ready for the big leagues. Eventually, he mentioned the Senators, so we knew we had the right game. As we drove, we heard the last part of the home half of the 7th inning. Binghamton led 1-0. In the top of the 8th, with Rumble Ponies on 2nd and 3rd, the Binghamton pitcher came up the bat. Tim Tebow was announced as a pinch hitter. We felt a lot better because we had missed little of what we wanted to see because he wasn’t in the game until that point. With 1st base open, the pitcher probably didn’t risk giving him anything good to hit. After three fouls on a 3-2 count the pitcher walked him. The next batter up hit an RBI single, moving Tebow to 2nd base. 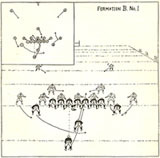 A later play moved him to 3rd. When the Binghamton left fielder hit a fly ball to the warning track, Tebow raced home. We waited to see if he was part of a double switch and would remain in the game. He wasn’t. So, instead of sitting in our seats grumbling for 8 innings because Tebow wasn’t in the game, we enjoyed a nice meal and a happier drive home. Does Barnes & Noble Stock My Book? Several lines below the price, just above Customers Who Bought This Item Also Bought, in small print, is a link titled Check Store Availability. Clicking on that brings up a window into which you type the ZIP Code for a specific area. I found no way to search nationwide or even statewide with a single ZIP. I typed in 17011 for Camp Hill, PA, where the nearest Barnes & Noble store is located. Up popped a photo of the store and (drum roll here) IN STOCK. Below it was a photo of the Lancaster store and NOT IN STOCK. It appears that the search is done for what looks like a 50-mile radius. Typing in 20001 for Washington, DC confirmed that guess because it listed 18 stores with some as far away as Baltimore and Frederick in Maryland and Fredericksburg in Virginia. A bonus for authors wanting to set up book talks in an area is that the mailing address and phone number for each store, whether it stocks your book or not, is listed. 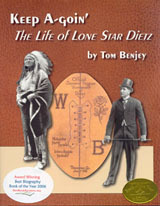 One of the benefits of having done all that research necessary to write Lone Star Dietz’s biography is that people who come across artifacts related to him contact me. The most common things people ask about are paintings attributed to Dietz. Based on the number I’ve seen and know about, plus those people own and ask about, Lone Star must have been fairly prolific. 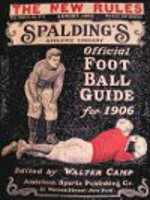 The most unusual thing someone has inquired about was a button/pin for the 1923 Thanksgiving football game between the Louisiana Tech Bulldogs and Centenary College Gentlemen. The image of Lone Star Dietz, Louisiana Tech’s head football coach at the time, adorned the button. This week, I was sent images of three undated photos of Lone Star Dietz. They appear to be early photos of him, probably the earliest in Indian regalia. I can’t identify the origin of this regalia because I don’t know how to discern the differences between the designs employed by the various tribes and nations. And what he wore was very different than the elaborate Sioux outfit that he was often photographed wearing. The earliest known photo of Dietz was as a member of the 1903 Macalester College football team. Whether these photos predate that one is an open question. The earliest dated photo of Dietz in his Sioux headdress, war shirt and leggings was published in the January 26, 1908 St. Louis Globe-Democrat Sunday magazine. That photo was likely taken in late 1907 in Carlisle, PA or in St. Louis, when the Carlisle football team made train connections in St. Louis. Dietz had probably established a relationship with someone on the paper when he worked at the St. Louis World’s Fair in 1904. The photos I was shown this week were very different from anything I had seen before. 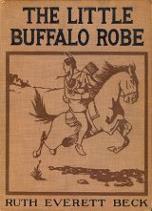 He was wearing a breechcloth, pipebag, simple leather headband with two feathers, and above-the-calf bells. My guess was that, since one of the three poses in these photos, appeared to be one of a dancer, complete with bells, these photos were taken in or before late fall of 1907. Shortly after arriving at the Academy of Industrial Design in Philadelphia on his outing period, Lone Star put on a demonstration that included a dance. But the newspaper coverage of his dance described him as wearing a war bonnet, probably the headdress he commonly wore in photos. So, I have little to go on with regard to dating these photographs. The photos are not shown here, nor is the name and location of the owner. That person wishes to remain anonymous due to the acrimonious treatment so often meted out by those people who oppose the use of Redskins for the name of the Washington NFL team. The January/February 2017 issue of The Penn Stater, the Penn State University alumni magazine, contains an article titled “Three of a Kind.” The three of a kind are Frank Jr. and John, the Craighead twins, and their younger sister Jean, best known by her married name, Jean Craighead George. The three siblings all graduated with bachelors degree from Penn State College, well before it became a university. However, they were far from the first members of the family to attend the school. Several Craigheads have matriculated there, including the father and two uncles of Jean and the twins, as well as two of their first cousins The Penn Stater needs to run a piece that explores the careers of Frank “Rattlesnake” Craighead, who accomplished more in retirement than most do during their active careers, his brothers Charles, an eminent metallurgist, and orchard entomologist and fly fisherman extraordinaire Eugene, who was also the father of two Penn State alums, Sam and Bill. Bill and Sam also pursued careers involving the study of nature. If Penn State had royalty, the Craigheads would certainly be a family of high ranking. Glorious Times… tells the fascinating story of an American clan of Scots-Irish origin that settled in and near the South Mountain “Cradle of Conservation” close to nature, with the Yellow Breeches Creek flowing past its backyard, woods just beyond fields and meadows, and the mountain within walking distance. Since the early 1700s, this remarkable family called and still calls “Craighead Station” Pennsylvania its “home,” even though many of its members more recently have made other homes elsewhere in the country. But they always return. In Tom Benjey’s engaging telling of the Craighead story through the centuries and generations, he focuses special attention, for good reason, on the generation of Craigheads we know best: that of the twins Frank Jr., John, and their sister Jean Craighead George; but he doesn’t neglect the earlier generations of Craighead naturalists either. Their father, Frank Sr., also an important scientist and naturalist—as well as aunts, uncles, and cousins who were important outdoorsmen—and women themselves—get well deserved attention, too. Phone 717-258-9733 with your credit card information and mailing address. 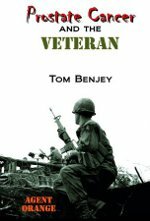 OR click on the book cover to order on-line. After the dissolution of the Oorang Indians NFL team after the 1923 season, Eagle Feather’s name next appeared with Jim Thorpe’s in a December 18, 1927 article in The Sunday Repository out of Canton, Ohio. This Eagle Feather was playing on Jim Thorpe’s World Famous Indians basketball team. The article discussed an upcoming game with the local Orphans team that consisted of former college and high school stars. Something different about this article was that it gave two names for the WFI players. Jim Thorpe was Bright Path, Nick Lassaw was Long Time Sleep, and Dennis Hildebrand was Eagle Feather. Could Dennis Hildebrand be the same Eagle Feather who played football with Thorpe on the Oorang Indians NFL team? Since The Sunday Repository piece listed Hildebrand/Eagle Feather as having attended Haskell Institute, that institution would be a likely place to look for him. The World-Herald of January 12, 1924 featured a photo of the Haskell basketball team. Dennis Hildebrand was one of the eight Haskell players dressed in the school’s basketball uniforms in the photo. Another was the famous football star John Levi, who played center on the basketball team. Articles written while Eagle Feather played for the Thorpe’s WFI said he was captain of the 1925 Haskell hoops squad and was a North Carolina Cherokee native of Oklahoma. (The 1905 census listed him as having been born in Oklahoma but living on a Navajo reservation in Arizona.) The December 21, 1927 edition of The Canton Daily News claimed that Hildebrand had attended Indiana University not Haskell. The Daily News was clearly wrong about him not attending Haskell because his playing on that team is clearly documented. But did he also play for IU at some point? Finding out if he did or not is my next task. Although it covers the years Hildebrand might have played college basketball, neither version of his name appears. Several times over the years I have been writing this blog, people have requested information on Carlisle Indian School students that, if it existed, could only be found in the paper records in the National Archives in Washington, DC. Traveling to Washington to look at the Carlisle Student Records in person is impractical for many people. Even for those of us who live close enough to make day trips, it isn’t easy. Parking garages aren’t inexpensive and learning the National Archives’ procedures for retrieving files are nontrivial. Having photocopies made to take copies of records home with you isn’t cheap either. Plus, the copies are stamped disallowing you from making copies of these copies to give to others. The Archives does allow researchers to submit requests from their homes to have Archives’ personnel retrieve the records of interest, make copies of them, and mail the copies to the requester. Significant time delays and costs are involved. Fortunately, those of us who want to access Carlisle Indian School Student Files have another option now. The Dickinson College Archives have scanned the Carlisle Indian School Student Files and have made them available to researchers. One need not come to Carlisle to access these files because Dickinson College makes them readily available on their website. I give Dickinson high marks for their site. Retrieval is easy and straightforward and retrieved records can be printed on your home printer. To access the site, key in or click on http://carlisleindian.dickinson.edu/student-files. On the left side of the Carlisle Indian School Digital Resource Center screen, you will see a box under Search All. Enter the name of the student whose records you would like to see in this box and click on the search button. I generally start with the student’s last name to avoid problems with spelling and inconsistent recording of the first name. Also, many siblings attended Carlisle. In their files, information about the person in whom you’re interested can sometimes be found. Newspaper accounts of a November 2, 1903 incident that occurred at Little Lightning Creek in northeastern Wyoming between Sheriff W. H. Miller’s posse and a party of Indians claimed that Sioux, Crows and Arapahos traveling back and forth between reservations in Nebraska, Montana and South Dakota had been slaughtering thousands of antelope and deer each year along with some cattle and sheep. The authorities mounted a determined effort to stop this poaching that particular year. “Several weeks ago a large party of Sioux Indians under Eagle Feather, otherwise known as Charlie Smith, the full-blooded Sioux and a graduate from the Carlisle Indian School, appeared in the game country south of New Castle. 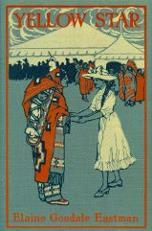 The December 11, 1903 edition of The Red Man and Indian Helper, a Carlisle Indian School publication, included “A Carlisle Ex-student’s Account of the Wyoming Pale-Face Uprising.” Clarence Three Stars wrote from the Pine Ridge Agency, telling a very different story: “The following are former pupils of Carlisle who were in trouble—Charles Red Hawk (Smith) and wife, William Brown and wife, all of whom were of good reputation and were doing well under the circumstances they were in.” Brown and Red Hawk were on a pleasure trip in Wyoming, according to Brown, who shared the details of the incident with Three Stars. I’ll leave reading the details of this atrocity to the reader and continue to search for someone actually called Eagle Feather and alive in 1922.